Just one smart lock malfunction plants the seed for distrust in any "smart" security system. Here's why smart lock makers don't want that to happen. Your TV can fade to permanent black. Even your PC can crash. And your smartphone? We've all had instances where the device has fallen, perhaps smashed to tiny pieces on the sidewalk. Annoying, frustrating, maddening? Yes. But life-threatening? No. But what if your front door lock doesn't lock at night, or unlock as you try to come home? Peace of mind is shattered—and perhaps your safety too. Your front door lock simply has to work every time. Any lock that doesn't provide this worry-free ease of entry? That's a failure. So-called "smart" locks substitute the our brass keys for Bluetooth and Wi-Fi. An app on our smartphone now slides the bolt back to open our doors. Yet who hasn't experienced some sort of wireless connection failure. When our email access is shut off, or our Netflix connection, that's a bother. Not getting through the front door—and no key to use as a backup? Not ideal. My wife, for example, had just such an experience with our Kevo, leaving her locked out of our home. Once burned—and her confidence in the wireless technology shattered—and she now refuses to use anything but a key. Smart lock makers are starting to pay attention to these concerns, and devising options to get you trusting their brands—and their backup options. Many smart locks start-ups were filled with a host of innovative and clever smart features, except one: a secondary, back-up means of entry other than the wireless connection via a smartphone. Slowly, these lock makers are discovering we don't exactly trust that the wireless connection with our smart phone or a key fob has the same 100% surety as a key. Experienced lock makers, on the other hand, have understood we don't want to worry whether our lock worked. They're striving to supply backup options to their devices. The Kevo lock is made by experienced lock maker Kwikset. And thankfully for my wife, the device looks and acts like a standard key-operated bolt lock. In other words, you can open the lock with a regular key. 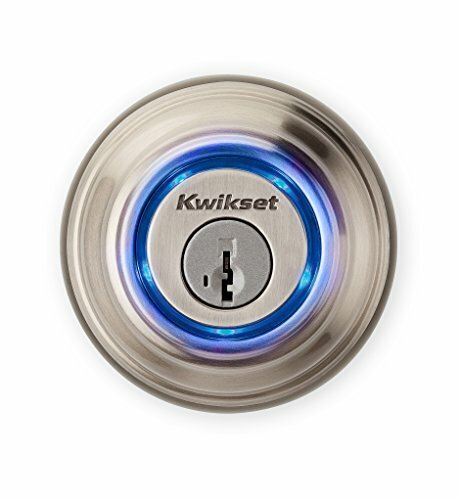 It's not exactly a Medico, but Kwikset says Kevo is both pick- and bump-proof. These security issues are supposed to be enhanced even further with the second-generation Kevo, set to be launched this spring ($TBA). About 40 percent smaller, the new Kevo is more stylish with an all-metal interior and torque attack resistant to physical attacks from a screwdriver or a wrench. To make installation and set-up easier than the original, there's an in-app interactive installation guide. Plus the new Kevo is compatible with Android Wear and Nest devices, Ring video doorbells, Honeywell Wi-Fi thermostats and the Moto 360 smartwatch. Other smart lock makers are turning to keypads as their fallback solution. While not exactly as convenient, quick or reliably mechanical as a key, a keypad is at least a familiar and reliable entry option. 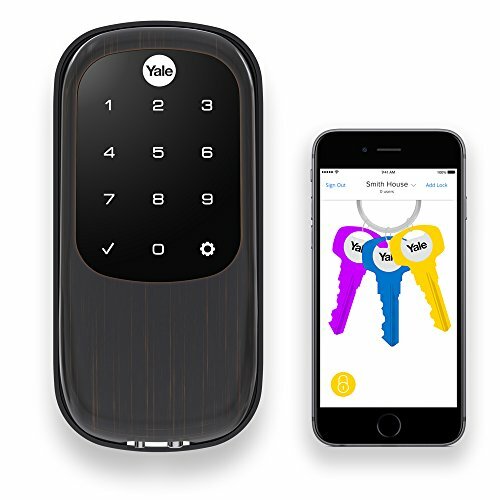 Yale Linus, and Assure, ($224.99) are smart locks that will work not only a Bluetooth smartphone connection, but incorporate a touchscreen touchpad on their lock faces. Similarly, the Apple HomeKit-compatible Schlage Sense Smart Deadbolt ($217.79-$229), which can be opened via Siri voice command from an iPhone or Apple Watch, also includes a touchscreen keypad. Already on their second-generation models, both August and Danalock are—or will be—selling a Bluetooth-connected accessory keypad designed to be mounted within 30 feet of the company's smart lock. 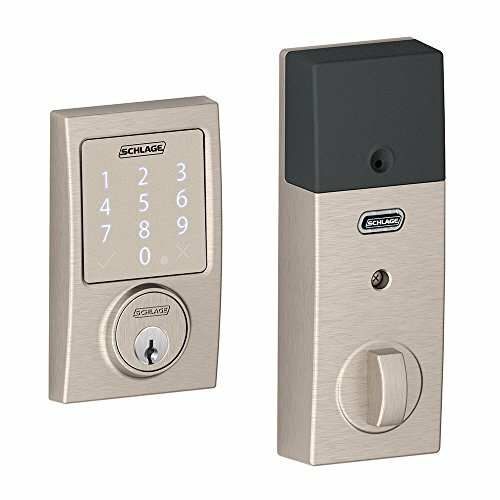 The August two-column vertical Smart Keypad ($79) and Danalock's circular Danapad keypad ($69, available for preorder) with a traditional 3x4 numerical layout both offer a second entry option for getting into your house. While keypads may provide a backup option, we're still talking about relying on a Bluetooth connection from the keypad to the lock. An Apple Watch will often and inexplicably lose its Bluetooth connection with an iPhone. 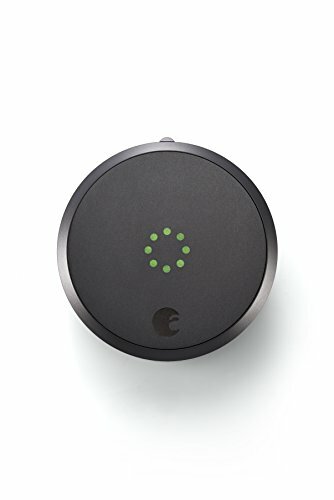 How much trust will consumers have in yet another smart lock Bluetooth connection? Also, smart locks require power—supplied by batteries. These batteries eventually have to be replaced. With an accessory Bluetooth keypad, you now have to worry about replacing two sets of smart lock batteries, each operating on their own power schedules. A mechanical bolt lock doesn't require any external power, save you turning your key. With its traditional key entry option, a Kevo smart lock losing power isn't a fatal flaw. Yale, also recognizing the potential peril of a power problem, is equipping the upcoming Linus and Assure smart locks with battery terminals. A dead internal battery keeping you out of your home? You can connect a 9-volt battery to supply power. These upgrades are surely going to assure new consumers that if their technology fails, they have another way of getting in their home—and keeping themselves safe. But will they completely our wireless connection concerns to their keyless options? That decision is not locked yet. If you need help with your smart locks, you can visit HomeAdvisor.com to find a local trusted locksmith in your area to help you.